If you want Baptism favors for boys that are affordable and unique, these fit the ticket. 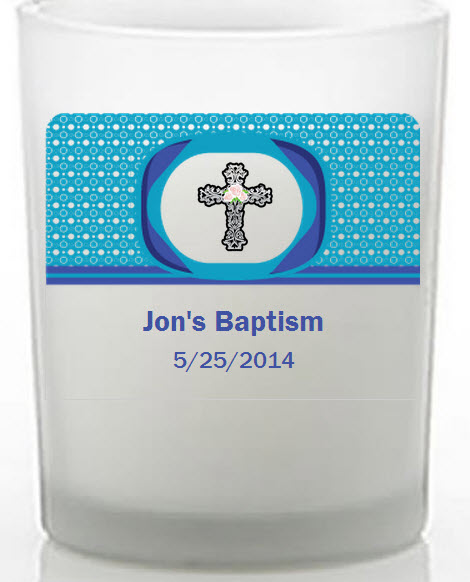 These Christening candles offer a variety of colors and design options for you to make uniquely yours with text specific to your special event. 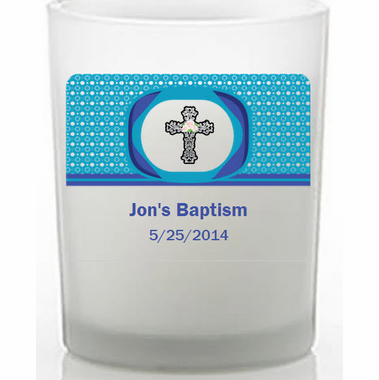 Our cheap candle favors are easy for you to decorate with a personalized sticker for your event and will make a sweet impression with your guests.